So before I talk about why everyone must make a road trip to Maharashtra to experience the true meaning of ‘monsoon magic’ and about the simple charms of Sri Lanka, let me begin with home! Our project of doing up the home has slowed down quite a bit, especially since we got all the basics in place. We did some more painting work for the staircase passages and I’m relieved about the washable paint we used! Lesser stains to clean and the washable paint makes them much easier to clean! 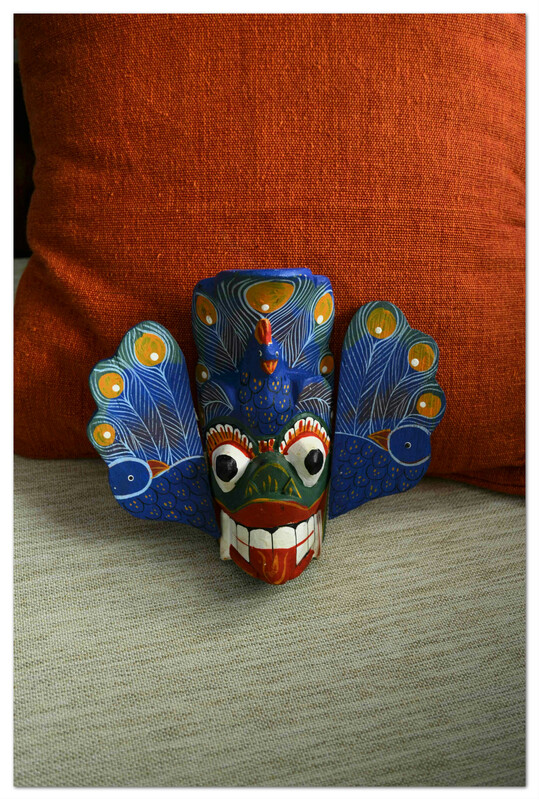 The serpent demon mask above and below is the demon peacock mask. Made from wood, some do find them rather scary looking, I think i’m used to the eccentric by now! On Thursday I happened to stumble on this magical art boutique called The Purple Pony, it is magical from the outside, but when you enter, it is as if you have entered a whole new world! Wall murals, mystic lighting, cozy white windows, wispy curtains, interesting curios and so many wonderful items. A dreamland of sorts, especially for the likes of me! It sure is a happy place, tough to leave without buying something, though I did feel many of the products were blatantly over-priced. But the space sure is inspiring, calming and happening! 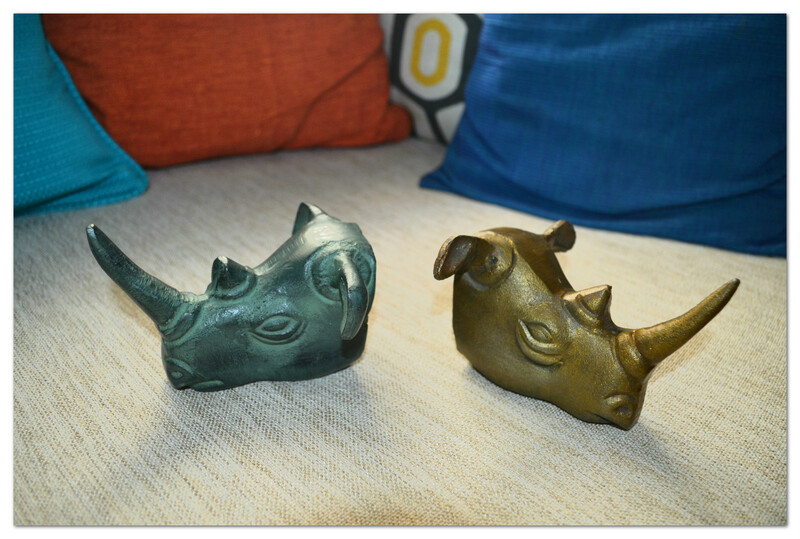 Here is what we bought, two little Rhinos that can also serve as hangers. We bought them from a purely decor point of view though. 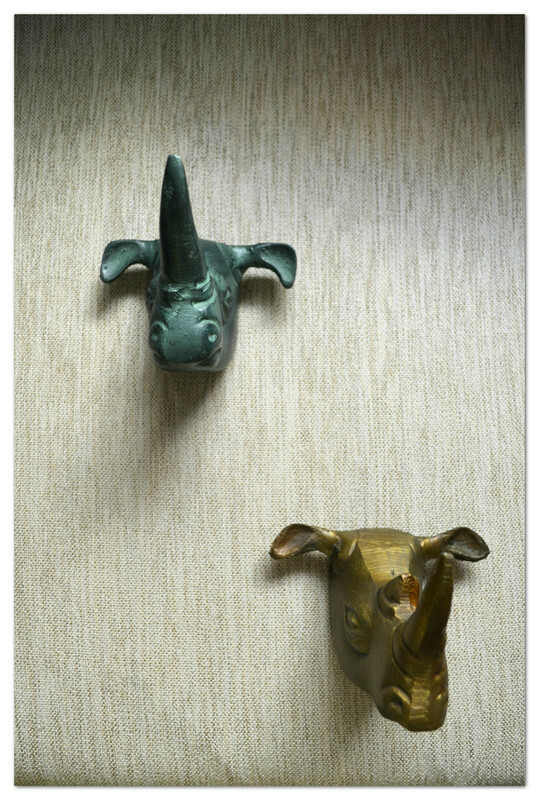 The idea is to hang them on the wall with mock frames around each. It is wonderful to visit a place so full of life and joy as The Purple Pony, sometimes I wish places such as these doubled up as cafes where one could spend time reading and relaxing. 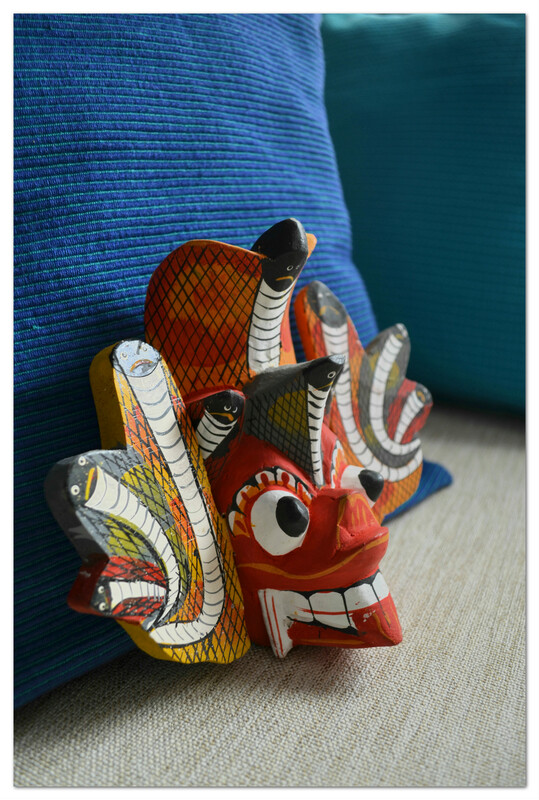 For those like me there is immense joy in observing creative objects even when I don’t plan on buying them! So what are you doing this weekend to make your home a more cosy and beautiful space? Do let me know!